For character day at my daughter's school this year, she chose to dress as a ladybug. We didn't have a costume but I think we pulled it off by mixing and matching clothes, boots and dress up clothes from the closet, wings and antennae borrowed from her little sister. The SOHO Garden collection that American Crafts sent me had the perfect combination of colors! 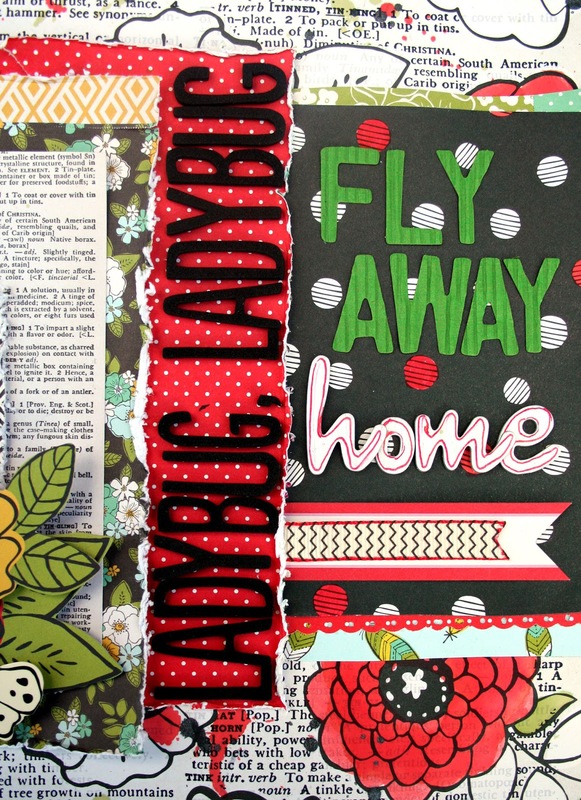 She chose a book that I passed down from my childhood, Ladybug, ladybug, fly away home. I chose the background paper because of the book copy. It's a black/white paper that I painted on. I simply mixed red re-inker with water and then painted it on with a brush. I did it again with green for the leaves. After I was done, I added some paint splatter for a bit more pop. I then used more book-like paper as part of the mat. I used a combo of different alphas for the title. The Ladybug, Ladybug letters were getting lost on the book copy background paper where I originally planned to put them so I placed them sideways over the red paper. Now they POP and I like the placement so much more than my original plan. 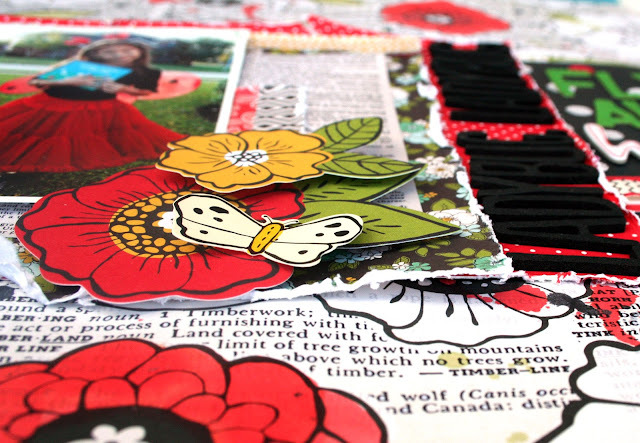 Lastly, I added a tag for the journaling and a little cluster of flowers and a butterfly, each popped up over the other. Thanks for stopping by today! 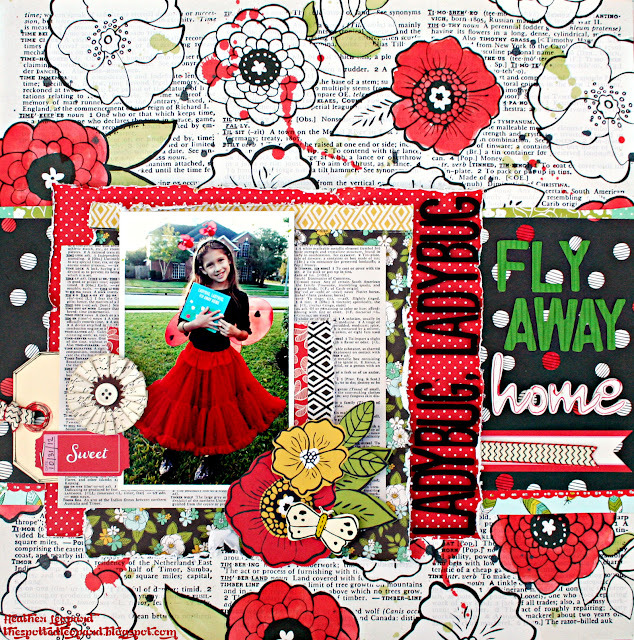 Check out the American Crafts November Design Team Gallery for more inspiration. This is BEAUTIFUL!! 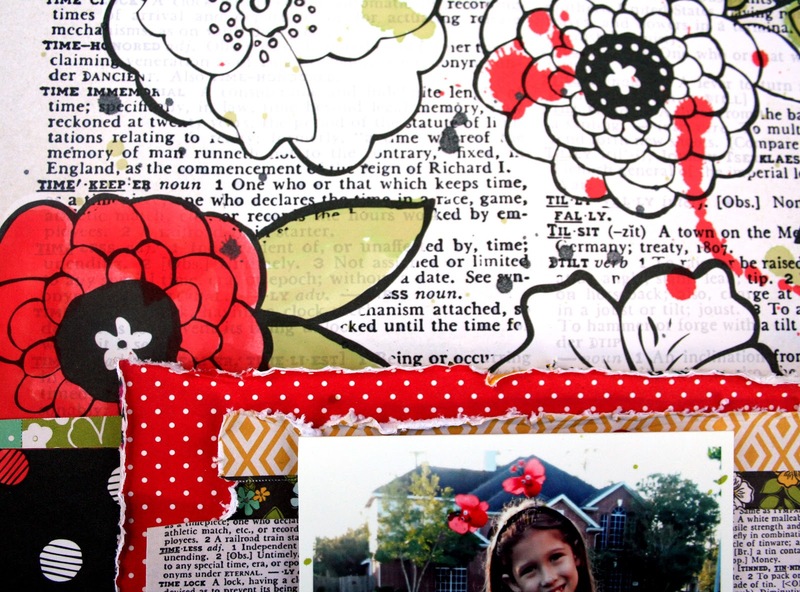 I loveeeeeeeeee the colors, the title and loveeeeeeeee the fussy cutting!! LOVE all the RED! totally cute layout! I love your page ... was beautiful! I loved this combination of colors.